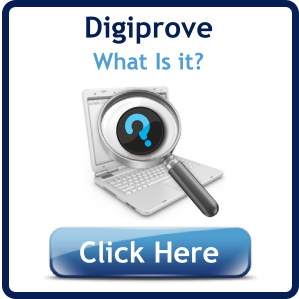 What is a Digiprove Certificate? A Digiprove certificate is a declaration by us that you were in possession of named and identifiable digital content at the specified date and time. The content is identified by its "Digital Fingerprint" which can easily be verified against the original content. The certificate is digitally signed using strong cryptography and is therefore secure against forgery. 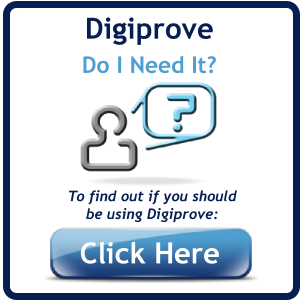 How do I obtain a Digiprove Certificate? Your content file will not be uploaded to our server and its contents are not revealed to us or anyone else.